The Russian president Dmitry Medvedev laid a wreath at the memorial of the victims of the Armenian Genocide. 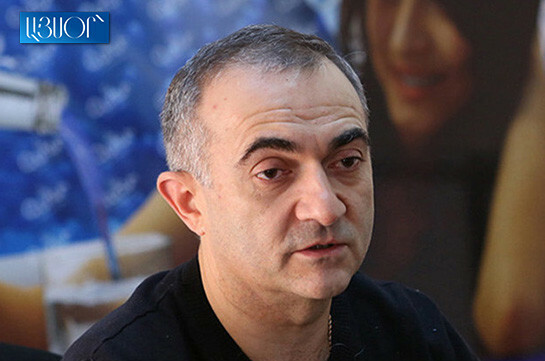 He and the other members of the Russian delegation were accompanied by the Armenian Foreign Minister and Director of the Armenian Genocide Museum-Institute Hayk Demoyan. 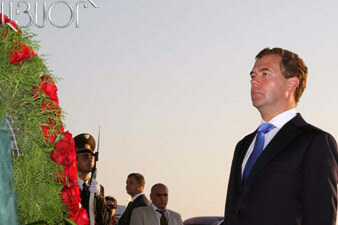 D. Medvedev laid flowers at the eternal flame and planted a tree at the alley of memory. D. Medvedev has arrived at Armenia today at 19:30. He has directly left for Tsitsernakaberd from Zvartnots Airport. Later D. Medvedev will leave for the RA Presidential Residence where they will be given an official dinner on behalf of the Armenian President Serzh Sargsyan and the first lady Rita Sargsyan honoring Russian President Dmitri Medvedev and his wife.